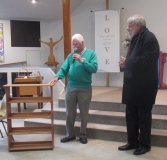 For the month of July the minister for Terrigal Uniting Church, Richard Harris, has been on holiday and has been replaced by a temporary minister, Rev Neil Smith from Warnervale. 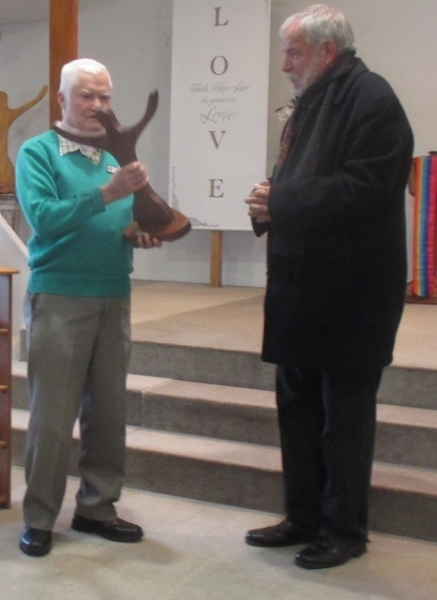 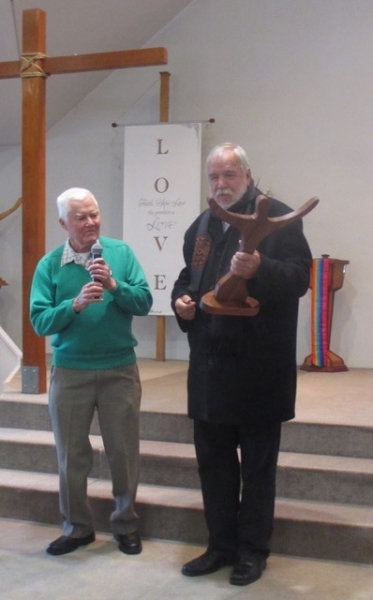 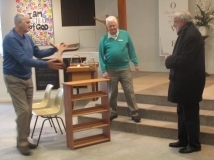 Neil is a dynamic speaker and the combined congregations decided to mark his work with the gift of a Men’s Shed produced Risen Christ cross. 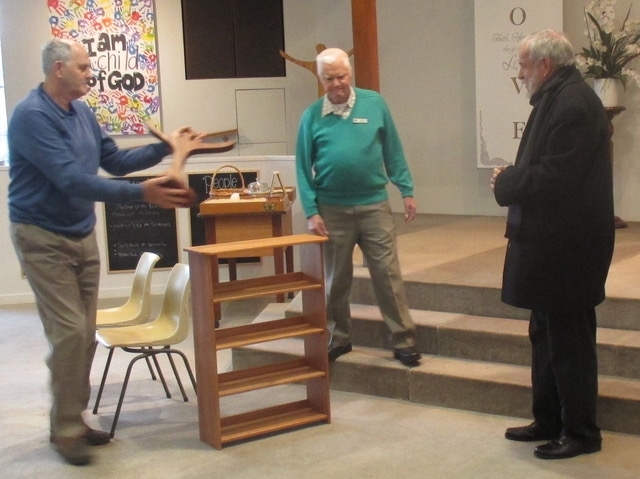 Neil’s wife had admired the jam shelves in the church foyer so the shed produced a duplicate jam shelf, and Fay Crawley donated a selection of jams to fill the shelves.